If you play at sites on the Winning Poker Network, it seems you never have to wait long between tournament series. In the past three months, the Network has hosted four “Super Series”, and has now announced a fifth Super Series for October with over $3.5 million in guaranteed prize pools. Back in July, the Winning Poker hosted its first stand-alone Bigger Online Super Series (BOSS). Then, over four weeks in August and September, the Network hosted its record-breaking OSS Cub3d Series, comprising of three Super Series rolled into one. Now a fifth Super Series (OSS XIV) has been announced from Wednesday 8th October with eighty-two events packed into twelve days of action. The latest series takes the best bits from the recent Super Series and packages them into one intense schedule. 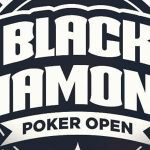 Consequently there is a wider range of tournaments and buy-ins than normal (with the exception of ultra-high buy-in events), plus the Network is taking the opportunity to use OSS XIV as a launch pad for its new short deck poker tournaments – 6 Plus No Limit Hold´em. The schedule for OSS XIV has just been released and includes something for everyone. As well as the “regular” events extracted from the Winning Poker Network´s weekly tournament schedule, OSS XIV includes plenty of Omaha, Knockout, and Hyper-Turbo events, several SuperStack and MegaStack tournaments (expect some late finishes) and the popular Final Table Experience game. 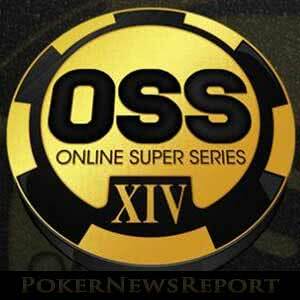 The highlight of the OSS XIV is the $1 million guaranteed Main Event on Sunday 14th October. Whereas the Network has played around with the start times and buy-ins for its recent million dollar guaranteed tournaments, the Main Event will get underway at 3:00pm (ET) and return to its usual $540 buy-in. As usual the OSS XIV Main Event will be supported by a comprehensive satellite schedule. Inasmuch as the schedule for OSS XIV is pretty impressive, there is no need to wait for valuable tournaments when you play at a Winning Poker Network site. 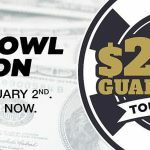 Each week the Network guarantees more than $3.8 million in prize money and its regular schedule features the most valuable poker tournaments available for players in the US – the $150,000 Sunday Special and $200,000 Sunday Warm Up. Players looking for even more valuable events will be pleased to hear the Network has extended its Million Dollar Sunday Encore promotion for a further two weeks. Following successful Encore tournaments over the last two weekends, further $1 million dollar guaranteed events with buy-ins of $2,650 will be played on Sunday 23rd September and Sunday 30th September. 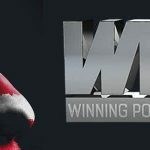 Even if these events are beyond your buy-in comfort zone, there are still hundreds of low buy-in tournaments with valuable guaranteed prize pools being played each day on Network sites such as Americas Cardroom and Black Chip Poker. So, if you have never experienced the action on the Network before, head over to either of these sites and claim your first deposit bonus ahead of OSS XIV.